An Orbital Minotaur IV rocket has made its maiden flight on Thursday – with lift off from Space Launch Complex 8 at the Vandenberg Air Force Base in California occurring at 4pm local time (Pacific). The rocket is set to fly a suborbital trajectory, carrying a prototype hypersonic reentry vehicle. Like other members of the Minotaur family of rockets, the Minotaur IV primarily consists of parts taken from retired missiles. It is a derivative of the LGM-118 Peacekeeper intercontinental ballistic missile, which was retired from service in 2005. The earlier Minotaur I and Minotaur II were both derived from the LGM-30 Minuteman missile, whilst the proposed Minotaur III and IV are both also derived from the Peacekeeper. Although the launch is suborbital, the Minotaur IV is primarily intended for use as an orbital launch system. It is the latest in a long line of missile-derived launch systems, which have been common both in the United States and in other countries. The Peacekeeper missile, from which the Minotaur IV is derived, grew out of the Missile-X (MX) programme which was started in the early 1970s. It was originally designed to be deployed from mobile launchers, or to be quickly moved between silos in order to prevent or limit the effects of a first-strike attack on US missile silos. The design of the Peacekeeper was frozen in 1977, and development was completed in early 1982. By this stage, however, the options for mobile deployment had been dropped, and the Peacekeeper itself was nearly cancelled. In 1983 the US Air Force decided to use existing silos intended for Minuteman missiles, and to develop the Midgetman missile to replace the mobile capacity. The Peacekeeper made its maiden flight in June 1983, and became operational in 1986, replacing the Titan II. Partial mobile deployment using trains was later re-approved, however the Cold War ended before it became operational in this capacity, and development was cancelled. Peacekeeper was a four-stage missile, consisting of three solid lower stages; an SR118, an SR119, and an SR120. The fourth stage was the Postboost Axial Thruster, which was propelled by an RS-34 engine burning dinitrogen tetroxide and monomethylhydrazine. It was capable of delivering ten W87 thermonuclear warheads in independently-targeted Mk.21 reentry vehicles. The Peacekeeper was banned by the START-II treaty in 1993, which led to its early retirement from service. Retirement of missiles began in 2003, and ended on 19 September 2005, with the removal of the last missile, and the deactivation of the 400th Missile Squadron. 114 Peacekeepers were built, of which 51 were launched with two failures. It made its final flight in July 2004. Minotaur rockets are operated by Virginia-based Orbital Sciences Corporation, and are marketed towards the US Government. Because they contain missile components which were provided by the US Government they are prohibited from competing for commercial payloads. The launch is the seventeenth flight of a Minotaur, and all sixteen previous flights have been successful. The first member of the Minotaur family to fly was the Minotaur I, which made its maiden flight in January 2000, and has to date been used for eight orbital launches. 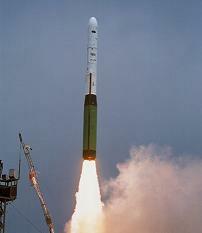 The Minotaur II was the next to fly, in May 2000. It is used for suborbital target missions, and has also been launched eight times. The other members of the family, the Minotaur III, IV and V, are yet to fly. Of those, the Minotaur III is designed for suborbital missions, the Minotaur IV for missions to low Earth orbit, and the Minotaur V for missions beyond LEO. The launch will use the Minotaur IV Lite configuration, which is the version of the Minotaur IV designed for suborbital launches. It is a three-stage vehicle, which consists of the three lower stages of the Peacekeeper missile; the SR118, SR119 and SR120. Later launches will use other configurations; the standard Minotaur IV will consist of the same three first stages, and an Orion 38 fourth stage, and the Minotaur IV+ will use a similar configuration, with a Star-48V upper stage instead of the Orion 38. The Minotaur III consists of the same three stages, topped by a Super-HAPS upper stage to improve accuracy, and the Minotaur V uses a Star-48V fourth stage, with a Star-37 fifth stage to provide additional thrust. Some concerns over the Minotaur IV’s performance have been raised. These relate to a gas generator used on the third stage, which has been discovered to provide some thrust to the vehicle. This has raised concerns that it may cause control problems on some flights. A diffuser has been developed to mitigate this concern, and although the launch wouldn’t have been affected by this problem, the diffuser will be flown in order to test it under flight conditions. This problem has led to significant delays for the SBSS satellite, which was originally intended to fly on the first Minotaur IV. It is currently scheduled for launch in July, but the US Air Force was reported to be considering moving it to a Delta II. The Hypersonic Test Vehicle 2a (HTV-2a) spacecraft is designed to re-enter the atmosphere and fly across the Pacific Ocean at speeds of around 20,000 kilometres per hour (13,000 mph, in excess of Mach 17). The flight will last around thirty minutes, and include manoeuvres to evaluate the flight dynamics of the vehicle. Once testing is completed, the spacecraft will impact the Pacific Ocean, to the North of Kwajalein Atoll in the Marshall Islands. Its debris will not be recovered. 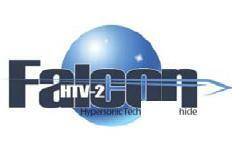 The Hypersonic Test Vehicles are part of the Force Application and Launch from Continental United States, or FALCON programme, which is being coordinated by the Defense Advanced Research Projects Agency. It was originally to have consisted of three phases, HTV-1, HTV-2, and HTV-3; however both HTV-1 and HTV-3 have been cancelled. A second HTV-2 flight, HTV-2b, is scheduled for launch in 2011, and will also use a Minotaur IV Lite. 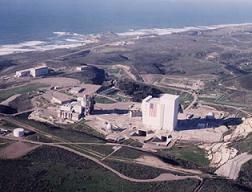 Vandenberg’s Space Launch Complex 8, from which the Minotaur will launch, was built in the late 1990s as part of the California Spaceport. The complex is operated by Spaceport Systems International. In 2005, a permanent gantry was erected at the pad. Five launches have made from the complex since 2000, all of Minotaur I rockets, the most recent of which occurred in 2006. In addition to Minotaur I and Minotaur IV launches, SLC-8 is being considered for future launches by Athena rockets, following Lockheed Martin’s recent decision to bring the Athena back into production. Previous Athena launches from Vandenberg used Space Launch Complex 6, which is now used by the Delta IV. Athena launches are only likely to be made from Vandenberg if payload requirements prevent the launch occurring from the other Athena launch sites at Cape Canaveral, Wallops Island, and Kodiak Island. Two or three more Minotaur IV launches are scheduled for 2010. The first of these is currently scheduled for 8 July, carrying the Space Based Space Surveillance (SBSS) satellite. This launch will also occur from SLC-8 at Vandenberg. In September, a launch from Kodiak Island will orbit the FASTSAT, FASTRAC-A, FASTRAC-B, FalconSat-4, O/OREOS and RAX satellites. A further launch from Kodiak, with the TacSat-4 satellite, was planned for later in 2010; however it is unclear whether it has since been delayed.